Gen del Alma was started in 2012 by winemaker Andrea Mufatto and her husband Gerardo Michelini of Zorzal. Andrea and Gerardo have bought land and planted vines in multiple areas of northern Mendoza; their focal concept is to showcase purity, minerality, and freshness through blends and practices unique to Argentina. 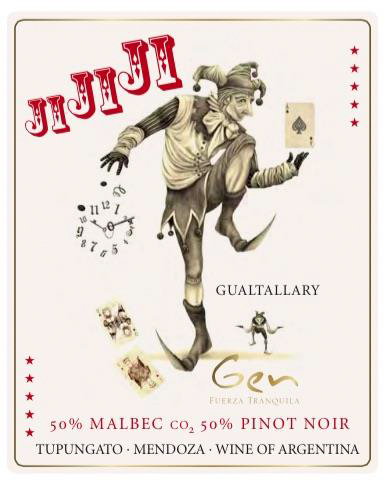 The majority of their wines are currently sourced from their property in Gualtallary and they also work with other vineyards in different subregions of the Uco Valley. Their minimal vinification process allows the fruit to shine on its own. Their winery is located in the town of Tupungato and is comprised of concrete eggs, barrique, foudre, and amphoras. Andrea and Gerardo also make a wine in Bierzo, under the 'Michelini i Mufatto A Merced' label.